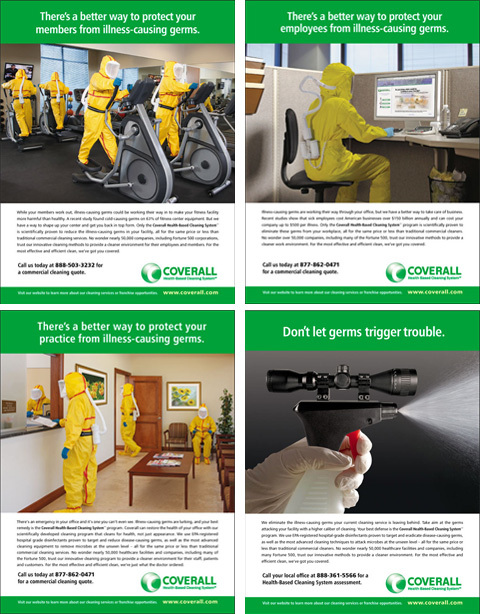 It’s time to come clean about one of our newest clients, Coverall. MDG recently started working with the national commercial cleaning company to promote the Coverall Health-Based Cleaning SystemSM. Frankly, the timing couldn’t be better. As swine flu and other infectious diseases are the talk from CNN to CVS, the need for healthier, cleaner surroundings is at an all-time high. It’s more important than ever for companies to clean up their acts if they want to keep their customers. 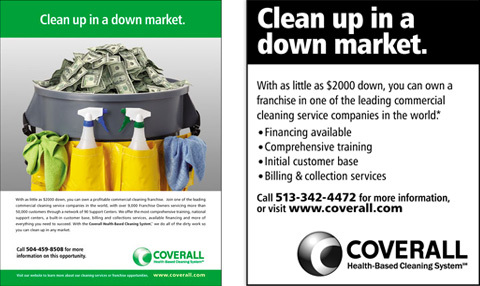 Lucky for us, Coverall leaves other cleaning companies in the dust. How? Well, their scientific methods reduce the germs that cause disease, and ultimately poison a business environment. They don’t just clean for good looks, they clean for good health. With today’s heightened awareness toward health protection and disease prevention, we think that’s something to brag about. 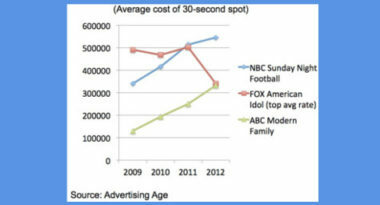 Michael Del Gigante is president and executive creative director of MDG Advertising in Boca Raton, Florida. MDG Advertising is a full-service advertising agency that specializes in developing targeted marketing solutions, exceptional creative executions and solid branding strategies that give clients a real competitive advantage. The South Florida agency is renowned for innovative communications that produce powerful, lasting relationships for clients with their customers. For more information, call 561-338-7797 or visit our portfolio.